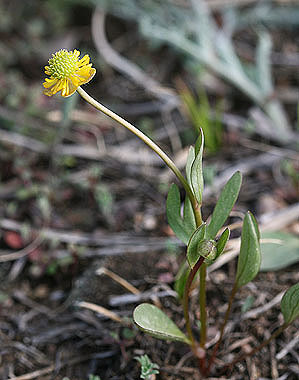 Ranunculus glaberrimus blooms in early spring and is often found on semi-shaded north slopes of the foothills. The receptacle with achenes is spherical. Leaves are smooth and often have three lobes or entire margins. 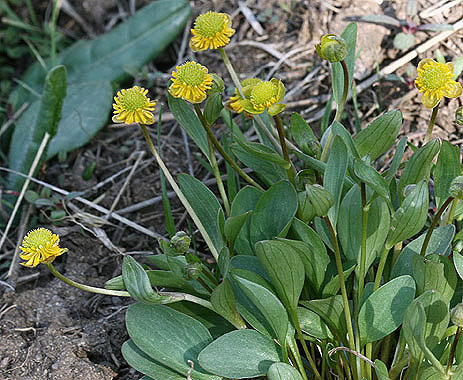 While populations lacking petals have been reported, the plants in these photos probably lost their petals in the wind.